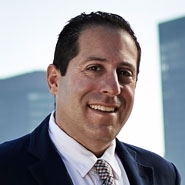 Jonathan Adelsberg was quoted in The Real Deal article "Amazon's Ashes," discussing the ramifications to New York developers on the recent sudden decision of Amazon to abandon its choice of LIC for its new location. Adelsberg discussed how buyers who went into contract during that time may attempt to renegotiate prices and also stated that before Amazon's selection of LIC, the area was seeing a “substantial slowdown of people putting shovels in the ground. People thought Amazon would offset any slowdown,” Adelsberg said. “[The fact that the company pulled out] will have a profound impact."